Be easy. Or rather Be.ez. That’s what happens when French fashion sense and design expertise meets the world of travel and laptop bags. I had the pleasure to check out this line while I was at CES, I was wandering around the South Hall where a lot of the cell phone, Ipad and notebook accessory companies were displaying there wares. I walked buy the Be.ez booth and the bags caught my eye. But then I heard one of the staff speaking and I heard French, so of course I was intrigued. I starting speaking with a very nice monsieur (I believe he was the owner) which was not only good practice for my French, but got me some extra attention when it came to explaining the line to me. The bags are really beautiful, but more importantly well designed with exceptional materials. I am in love with several of them, but particularly one of their new models, Le rush En Ville. 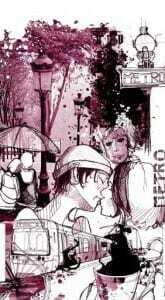 That and the Sweet Kiss laptop sleeve (Paris-themed, bien sûr) which is the image above. They are not widely distributed in the U.S. in terms of retail stores, but they are available at Amazon which is the next best thing. Even the one I want (which is new) is there! For my French friends I am sure they are available somewhere in France since it is a French company – vous avez la chance! I encourage you to check out the entire line at the Be.ez website. I have seen them in person, the design and materials are exceptional. Love these travel gear posts. The straps on the bags look really sturdy. @Tazim, I can attest that they are! Thank you for sharing! 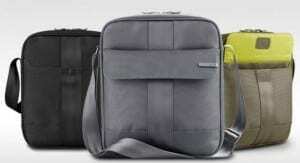 I would love to have one of the I lov Paris computer bags! I’ll have to ask someone to get it for me in France! @Frances, you can get them here in the U.S. at Amazon.